Happy New Year and Happy February everyone! I know my last post has been almost 9 months ago and I feel so guilty for somehow neglecting this craft blog of mine knowing I have followers like you who like to see what's new in my blogging world. I have to be honest that I've been so slack in creating cards for 9 months (almost, lol!) but I feel so blessed in many ways as I've come to know our Lord and Saviour Jesus Christ more and hearing from Him and obeying what He's telling me to do. And one of those was when we went home to Philippines for 3 weeks last Sept-Oct 2013. We went home for the purpose of sharing God's word and the wonderful things that He's done and doing in my life and my family's as well! So yeah, even if I wasn't productive on the craft side, I could say, I've been productive in harvesting souls for God's Kingdom during my absence. And I give God all the glory for it! Moving on to my card, good thing I still know how to use the Copic markers. LOL! 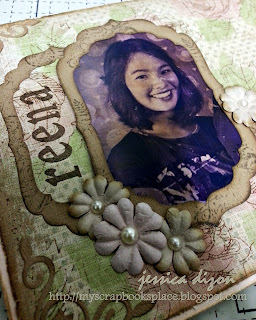 Here's a previously stamped Tilda (I've received during one of my RAKs before) which I used for a birthday card. Isn't she gorgeous! Until next post. God bless us all! Happy Monday everyone! I hope you're having a lovely day at your side of the world. We're currently having a sunny but cold 18 degrees weather at the moment and I've just finished doing my laundry so, here I am now, posting the cards that I've made for my friends who gave birth recently. 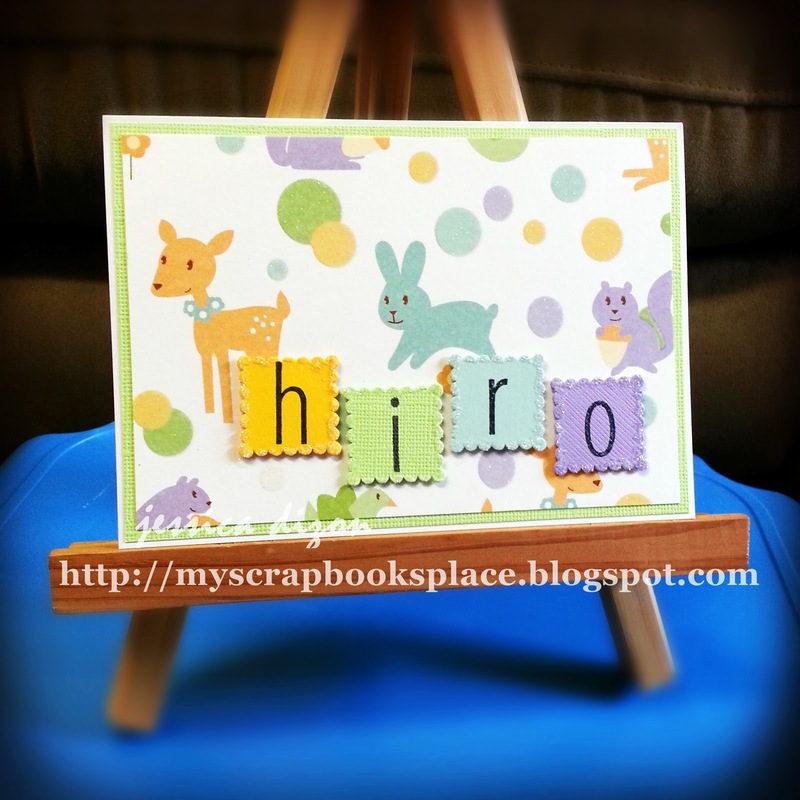 It's been months since I've made a card that's why I really made an effort to make my creative juices flow again by making these cute baby cards. 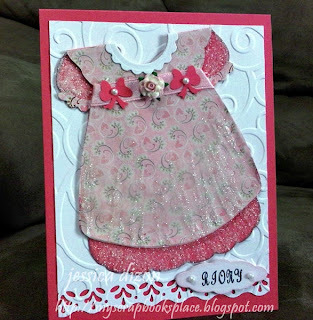 I finally was able to use the onesie die from MFT and the baby specialty designer paper from DCWV. I really enjoyed making these cards! Who wouldn't? Thanks for looking and hope to see you visit again on my next post. HAPPY WEDNESDAY EVERYONE! Yay! It feels good to be posting/blogging again. I'm sorry for my very long absence. I really had lots of things to attend to and creating cards is just on the bottom of my list. Sometimes there are things that really needed much attention. But I'm happy that once in a while I can still create. Like this one. 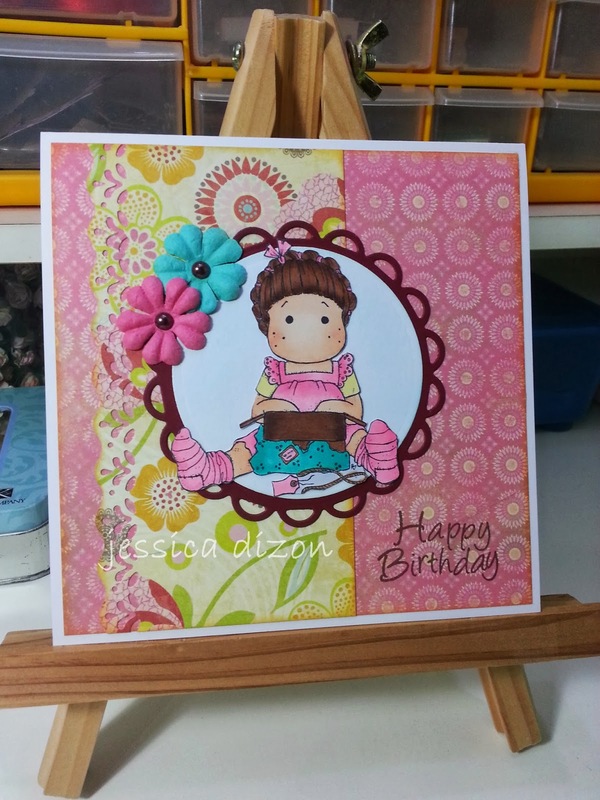 This is also a late post as I've made this card last month. 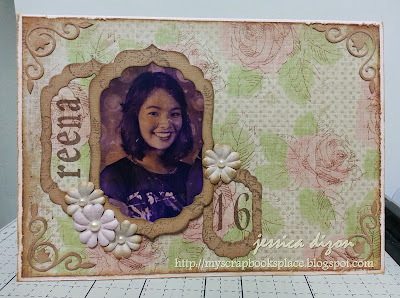 A young man from our church youth asked me to make a card for her sister's 16th birthday. He told me that the theme is "vintage" and so I came up with this. I want it to be really personal so I looked up for her photo on our gallery (pc) and found this photo of her with another churchmate of ours. I just then decided to crop it, edited it to make it vintage-looking and did some inking on the photo itself until I got my desired vintage look. Thanks for looking and enjoy the rest of your day. Good afternoon from Sydney, Australia! Hope all is well at your side of the world. 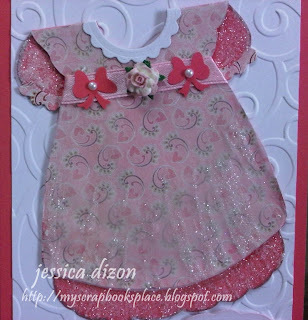 Just want to share with you a baby dress card that I made last weekend for a christening ---- my FIRST! I really had a blast creating this cute dress. Since my kids are all boys, I got so really excited with this! I got the template from Tempting Templates, printed it, traced it and cut it using a pair of scissors. I used a vellum on top of the Basic Grey dp to mimic a lace/tulle overlay. Then I decided to add glitters on the sleeves and onto the vellum. 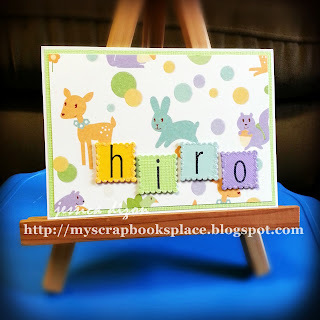 I didn't do any stamping here except for the name of the baby wherein I used my Justrite Stampers font. Thanks so much for looking and God bless us all! Hi everyone! Just a short post to share with you the latest card that I made. This is for Splitcoaststampers' CAS185 challenge: Summer Treat! As I've mentioned before, I recently organized and cleaned-up my craft area. 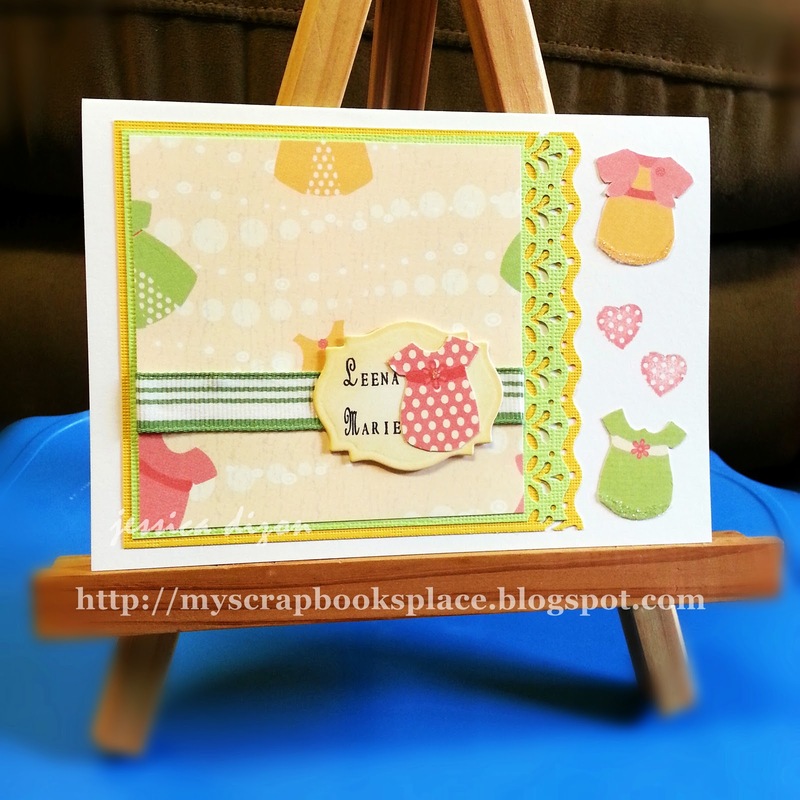 Hence in this card, I used the scraps/off cuts that I found from my stash. 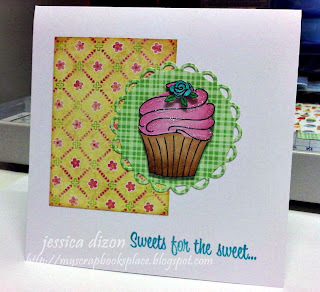 The image is from Hero Arts Cupcake stamp set, stamped using Memento Tuxedo Black and coloured with Copic markers. The dp's are from DCWV and K&Company. I used Martha Stewart Crystal Fine Glitter to create a sugary look on the cucpcake. Yum! So sweet!